Is Telemedicine Legal in Medical Spas? Whether telemedicine is legal in medical spas and medical aesthetic practices is a hot-button issue. Little more than a decade ago, you likely would have been laughed at if you told someone that in 2016, most people would be walking around with high-definition (HD) video cameras in their pockets, but here we are. That’s why medical aesthetic practices should pay attention to telemedicine rules and regulations, even if it is not currently legal in their states. Conceivably, telemedicine could change the way medical aesthetics practices conduct initial examinations. Most states require a licensed healthcare professional – a physician, physician assistant, or nurse practitioner – to conduct an initial examination, generally face-to-face, with each patient prior to the administration of medical services. 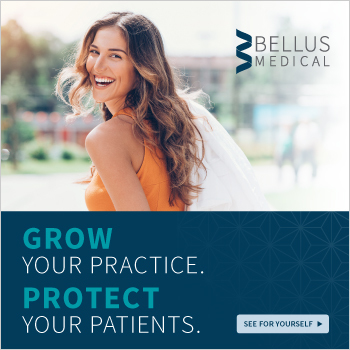 As a result, compliant medical aesthetics practices tend to need to have at least one licensed professional onsite at all times. 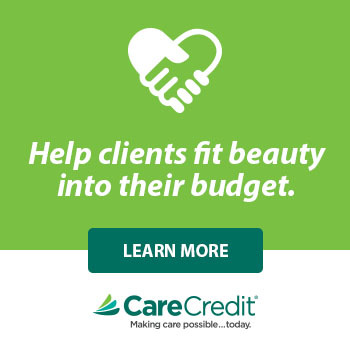 But what if you could simply reach a healthcare professional as needed instead of paying one to be in the office all the time? That’s the prospective advantage of telemedicine. Ideally, a healthcare professional could conduct examinations over a telecommunication protocol such as Skype or FaceTime, and the practice would not need to pay a premium to have a licensed professional onsite all day, every day. This practice inspires a few questions. Can a healthcare professional conducting a remote examination detect all skin conditions or abnormalities that could complicate medical aesthetics procedures? Moreover, can such an exam sufficiently establish the doctor/patient relationship? 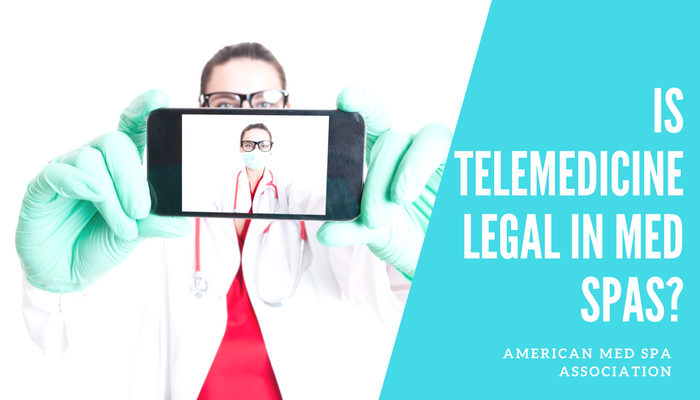 Lawmakers across the country are currently evaluating these issues and more, as legislation governing telemedicine is still evolving and open to interpretation. No consensus of opinion exists from state to state or even lawyer to lawyer regarding the practice. Telemedicine is the topic of entire week-long conferences, which should give you some idea about the amount of controversy surrounding it. Many states have telemedicine laws on the books, and they do generally tend to allow it, but typically for continuing care and consultations with specialists in other cities, states and even countries, rather than initial examinations. If a patient is already under the care of a doctor, telemedicine is more widely accepted than if a healthcare professional conducting an initial exam has never met the patient in person. In Illinois, for example, the state medical board does not look favorably on the practice, despite the fact that there is no actual law prohibiting it on the books. In Texas, on the other hand, state legislators have passed a law that sets very specific standards for how an offsite consultation must work. It is permitted, provided the healthcare professional performing the offsite consultation is in a specific location and working under particular conditions. California’s medical board also allows telemedicine, provided certain conditions are met. Some issues that still need to be sorted out include the question of whether a doctor can conduct initial exams on patients in states other than the one(s) in which he or she is licensed to practice. Historically, it has been difficult for physicians to obtain medical licenses in multiple states. However, an initiative known as the Interstate Medical Licensure Compact (IMLC) aims to help provide healthcare to underserved areas via telemedicine by making it easier for doctors to acquire medical licenses in multiple states. As of now, medical boards in 22 states are in various stages of adoption of this accord. Check the IMLC website to learn if your state is among them. A side effect of IMLC adoption is that it will soon be realistic for medical spa chains to conduct initial exams from a central location, which certainly could help expand their profit potential. This aspect of the story is developing, but it could have industry-altering ramifications. With imaging technology such as Visia improving rapidly and HD video becoming even sharper and more lifelike, conducting initial exams via telemedicine may very well be the industry’s future. Learn more about telemedicine and many other legal topics of interest to medical spas at AmSpa’s Medical Spa and Aesthetic Boot Camps. We will be hitting San Jose, Calif., on Sept. 18 and 19, the Chicago suburbs on Oct. 14 and 15, and Atlanta on Nov. 6 and 7. We hope to see you there!